Internet access is an invaluable asset in modern society, but it may prove remarkably challenging to stay connected when away from home or while constantly on the go. Mobile hotspots can provide fast and reliable access to the internet-and to multiple devices simultaneously-practically anywhere you go. Featured on CNET as one of the best mobile hotspots of 2016, the Verizon Jetpack MiFi 6620L is sure to satisfy your internet needs on the go. The device can connect up to 15 devices and provide about 20 hours of battery usage thanks to its 4,000 mAh li-ion battery. The battery can also function as a power bank to charge external devices. Navigate through menus and features via a color LCD screen with touch-navigation keys. Advanced features include parental controls, network password protection, and site blocking. The device is unlocked so you can choose to use it with other carriers if you prefer to do so. According to CNET's Dong Ngo, what made the Jetpack MiFi 6620L stand out from the crowd was its "stellar battery life, super fast cellular speed and great features." He received download speeds of about 10Mbps to 40Mbps on his travels. The built-in GPS is notable too, since not many devices include such a feature in their designs. You can pick up a Verizon Jetpack MiFi 6620L for around $199.99 outright or for $49.99 if you decide to sign a 2-year contract with Verizon. Receiving the PC Mag Editors' Choice Award from editor Sascha Segan, the AT&T Unite Explore (Netgear AC815S) is a top contender when it comes to the best mobile hotspots available today. For those who enjoy the outdoors, this device can provide the durability and reliability that you need during your adventures. It has been fitted with a design that is water-resistant, shock-resistant, and dustproof (IP65 rated and MIL-STD-810G certified). The Unite Explore offers about 20 hours of usage with its removable 4,340mAh rechargeable battery. Use it to charge your external devices with its BatteryBoost feature and connect up to 15 Wi-Fi enabled devices at the same time. Sascha Segan stated this is "the best hotspot in terms of hardware you can get right now." The durable and reliable design helps support this claim and its ability to attach two external antennas is an added bonus. This means you are able to enhance and boost its signal capturing capabilities for a more stable experience. The AT&T Unite Explore (Netgear AC815S) can be purchased for about $49.99. Showcased in The Best Mobile Hotspots of 2016 on PC Mag, the Verizon Jetpack 4G LTE - AC791L aims to set the bar higher when it comes to performance and functionality. The 1.77-inch TFT color display comes with capacitive touch navigation buttons and up to 15 Wi-Fi enabled devices can be connected simultaneously. The 4,340 mAh battery can provide around 24 hours of usage on a single charge. Like the other two hotspots above, this one can also be used to charge external devices via the included USB cable. Integrated with bands for global roaming, this hotspot works in over 200 countries. 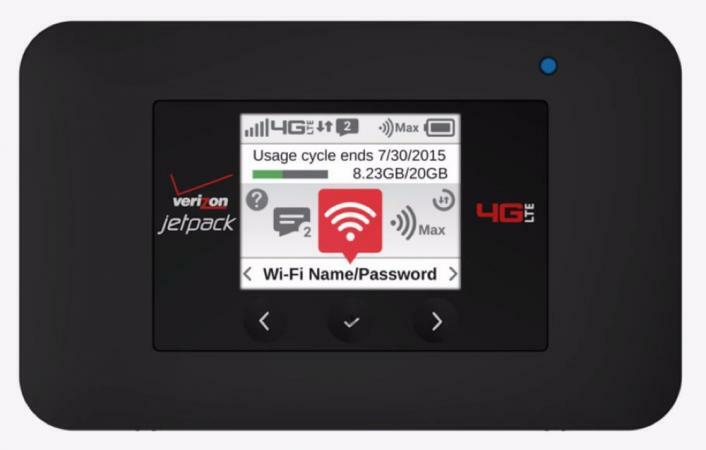 The Verizon Jetpack 4G LTE - AC791L, according to PC Mag's editor Ajay Kumar, "is a great hotspot for business users in both the U.S. and abroad." Supporting global roaming within over 200 countries, plus the fact that it has such a fantastic battery life is what enabled Ajay Kumar to give the device such a noteworthy recommendation. He's also a fan of the Verizon network, which he calls the "best in the nation" for both speed and coverage. 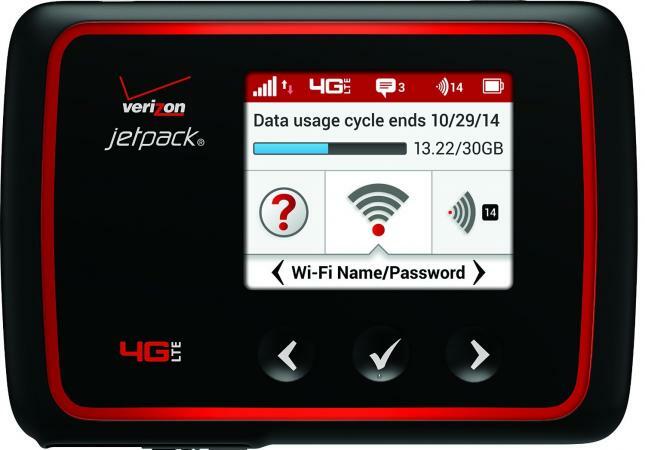 The Verizon Jetpack 4G LTE - AC791L retails for around $199.99 or, if purchased on a 2-year contract, $49.99. Unlike the other mobile hotspots mentioned, the Karma Go encourages you to share your Wi-Fi network with other users. This unique feature is designed to provide all Karma Go users with the easiest and most convenient access to the internet as possible. The hotspot does not encrypt the Wi-Fi network or protect it with a password, because Karma users will need to log into their own Karma accounts to use it. This ties into a reward program where you are offered a free 100MB of extra data every month (with Refuel accounts) or $1 in credits (with Pulse accounts) when someone new connects via your Karma Go hotspot. 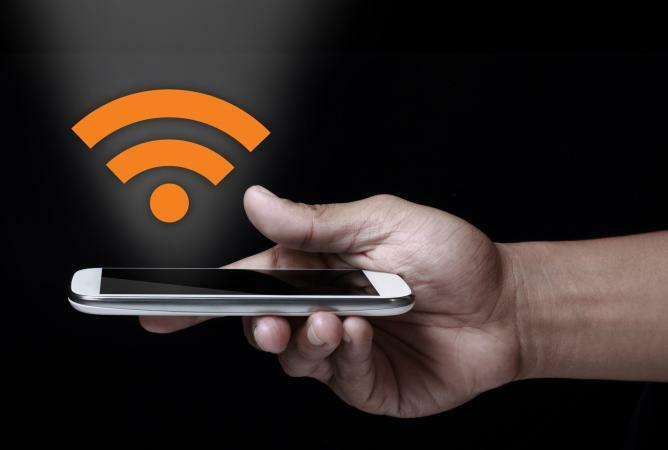 Instead of a display to show the Wi-Fi settings and information, the device communicates such information via its app, which is compatible with both Apple and Android devices. The battery level and Wi-Fi signal strength are displayed on the sides of the device through the use of integrated, colored LEDs. Computerworld editor Brian Nadel says that the Karma Go is "the social butterfly of the hotspot world." The device itself is compact and portable, meaning that it can easily fit in your pocket or in a small case/bag. What really impressed Nadel was the Wi-Fi connectivity range. He claimed that, out of the five mobile hotspots he tested, the Karma Go "puts out the strongest Wi-Fi signal of the bunch with a superb range of 110 feet." The Karma Go can be bought for roughly $149. 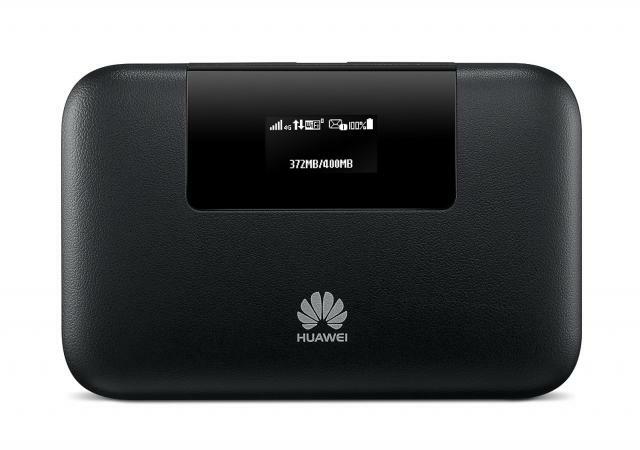 For international travelers, the Huawei E5770s-320 might just be the mobile hotspot that you have been searching for. The enormous 5200mAh battery will supply roughly 20 hours of operation. The battery can also be used to charge your smartphone, tablet and other mobile devices via USB. 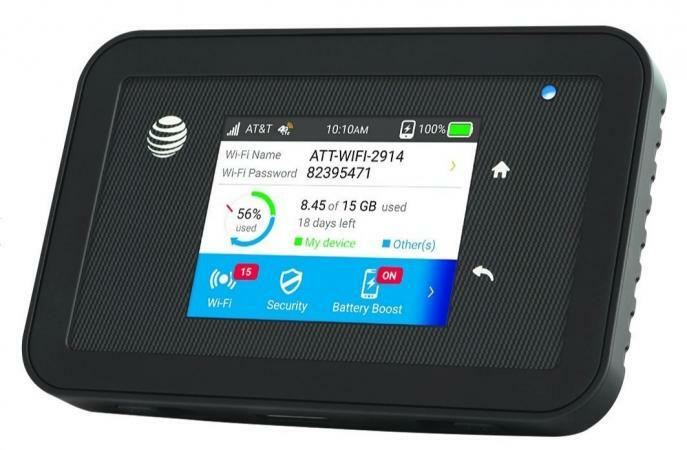 Up to 10 devices can access the internet through this mobile hotspot at the same time. Built with a leather texture and mid-frame ornamental plating, the 4G compatible hotspot measures 5.63 x 3.54 x 4.09 inches and weighs about 7 ounces. Labeled as one of the best mobile hotspots for international travelers by editor Edgar Cervantes of Android Authority, the Huawei E5770s-320 has a rating of more than 4 stars out of 5 on Amazon. A customer who had purchased the Huawei said, "It's a well built, solid little device, and I'm sure it will keep me connected to the internet when overseas." The Huawei E5770s-320 sells for around $168. Two important key aspects that often gets overlooked when looking for a mobile hotspot are data plans and service coverage. Some carriers offer great deals on their data plans, but their network coverage may not be as extensive. Other carriers might provide excellent coverage, but their data plans can be more expensive. To choose the best service plan for you, assess the amount of data you plan to use each month and compare the coverage maps of the carriers that interest you. Doing so will help clarify which wireless solution will satisfy your specific needs.